This book provides an inside look at the techniques used and developed by Wolff. It is based on a graduate course on Fourier analysis he taught at Caltech. 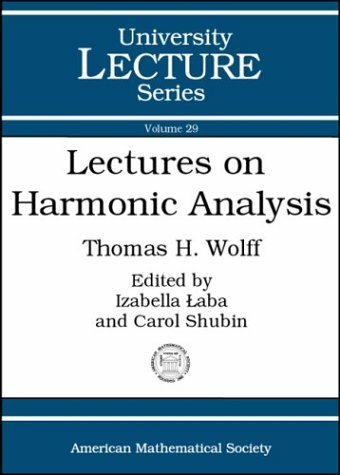 The book demonstrates how harmonic analysis can provide penetrating insights into deep aspects of modern analysis.